Sign Design Society | Billy’s Big SDS Debate 2: Is Wayfinding Relevant? 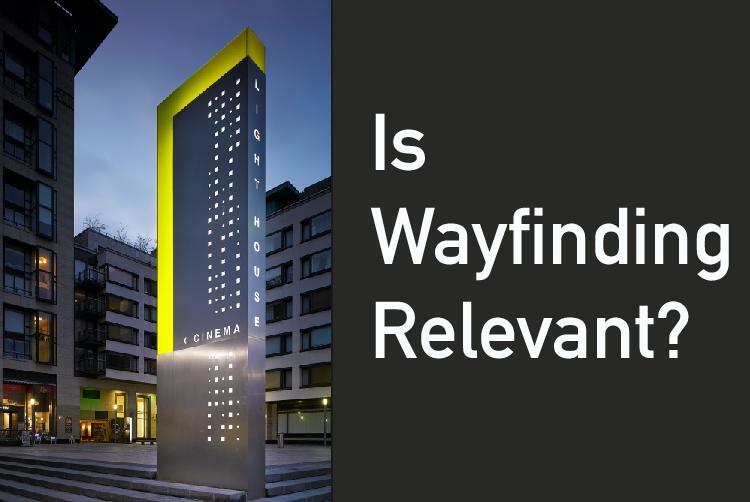 Billy’s Big SDS Debate 2: Is Wayfinding Relevant? Why should public planners, architects & private institutions use wayfinding professionals? What are the benefits? Are they quantifiable? Can they be communicated in a manner that is easily understandable, or is Wayfinding just an expensive luxury that can only be indulged in the good times and discarded during recessionary periods? Wayfinding professionals talk about being able to make cities more “liveable”. Is this true? What is the evidence to back this up? How does the wayfinding community communicate the benefits of good wayfinding to public planners, bodies, the architectural sector and the general public at large? What countries have done this successfully and is there a way to use their experience to further the profession and make our influence heard at decision making level? Billy Griffin (Artisan Solutions) – Billy is a long-time member of the SDS and currently Sign Design Society Steering Group Treasurer. He is the co-owner of Artisan, a specialist sign manufacturer based in Dublin (Ireland) which operates on a global basis. Simon Borg (Populous Activate) – As a designer Simon is passionate about exploring the relationship between environmental graphics and branding, and its influence on the fan experience within the built environment. Over the past 15 years he has led teams in Australia, Europe and the Middle East in developing wayfinding signage programs for global clients and brands including Tottenham Hotspur, Google, London 2012, Olympique Lyonnais, The All England Lawn Tennis and Croquet Club (Wimbledon), TAG Heuer and Nike. Simon is currently Creative Director (EMEA) of Populous Activate, a specialist brand activation and user experience design agency that is part of the Populous design practice. Ankita Dwivedi (Gensler) – Ankita is an ardent advocate of design that positively impacts life. As a Senior Associate at Gensler, she has extensive experience in the fields of architecture and design and has achieved considerable success across a number of geographies. Ankita has led a an eclectic range of projects for FTSE 100 organisations from installations, to large mixed-use developments. With a particular interest in wellbeing and sustainability, she has been the European Head of Gensler’s Design Resilience group. Ankita engages in research, its application and creation of tools to enable teams understand the impact of design on our environment, businesses, communities and individuals. Soon she is going to focus on this full time by undertaking an MSc at UCL Bartlett School in ‘Health Wellbeing and Sustainable Buildings’ along with setting up a Social Enterprise- ‘Scala Colab’ to support design consultants, governments and researchers. Colette Jeffrey (Birmingham City University) – Colette has been an active SDS member since 1996. In 1999, Colette researched and co-wrote the official NHS guidance on wayfinding and ever since has been involved in wayfinding design for over sixty complex environments. Past clients include NHS hospitals, The British Library, Heathrow Airport, the Natural History Museum, Queen Mary University of London and on-street pedestrian sign and map systems for the cities of London, Leeds and Brighton. She is currently Associate Professor in Wayfinding and Inclusive Design at BCU. Krunal Shah (Atkins Global) – Krunal has over 13 years combined experience in architecture, urban design and wayfinding. He currently leads the wayfinding discipline at Atkins. His qualifications in architecture and urban design, combined with his interest in digital innovation, enable him to provide a unique interface between multiple disciplines. He has successfully led on wayfinding design for complex projects, providing bespoke and innovative design solutions across a range of sectors including Aviation, Rail, Education, Commercial, Recreational, Urban and Sporting events such as the Glasgow 2014 Commonwealth Games. Harm Wondaal (Eurorouting) – Biography to follow shortly. This talk is free for SDS members and £25 for non-members. If this is your first SDS talk/event, you can pay a special ‘taster fee’ of £10 payable by invoice. Please email enquiries@signdesignsociety.co.uk to register. Special offer: if you sign up for SDS membership before 30 September 2018, we’ll reduce your fee by the cost of your Debate ticket!